Sidewalk Labs, a subsidiary of Google's parent company Alphabet, is essentially aiming to change how we look at a city. Two PhD scholars at California's Stanford University founded Google as part of their research project in 1996 and it received its first official funding in 1998. Over the years, the company has been able to develop a search engine, phones, tablets, laptops, smart watches and even driverless cars. But now it is aiming at something different. 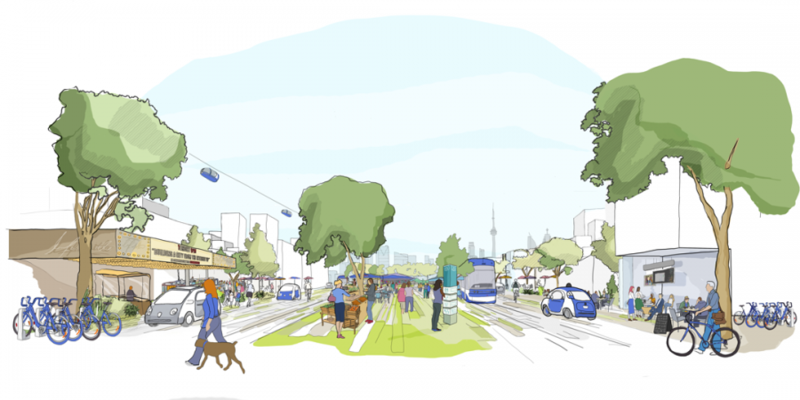 Google is now going to build a city - an 83-acre smart neighbourhood at the east of downtown in Toronto. The project is slated to begin by the end of this year with a $50 million initial funding. Google is essentially aiming to change how we look at a city. It would transform a conventional industrial area on the edge of Lake Ontario into the most ambitious smart city on Earth. The city will include the latest and most advanced of the technologies in infrastructure, construction, and transport; all in one place- a true blue future city. 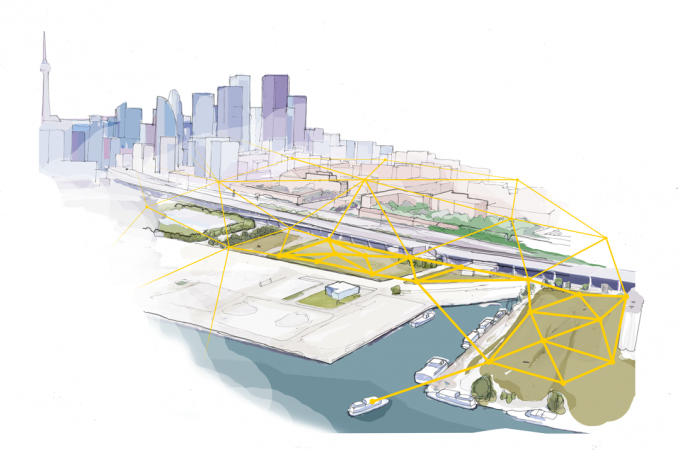 Sidewalk Labs, a subsidiary of Google's parent company Alphabet, has been given the opportunity and responsibility of creating this future city. So, here are some of the most unique innovations that will take place in this Toronto smart city. According to Sidewalk Labs' 196-page vision document, which details the plans, all the deliveries in this city will be tackled by a network of underground robots. They would run along the utility lines and bring the residents' posts straight to their personal mail lockers in their buildings. All the deliveries will first come to a to a centralized distribution centre. From there, they will be given to the underground network that will deliver the materials to residents as well as the businesses. "Each delivery would be routed according to its level of urgency, perishability, or priority, and additional modes might be employed, such as delivery bikes and aerial drones," says Sidewalk Labs. This future city's streets will be jam-packed with sensors that will be measuring congestion, footfall, and traffic patterns. This data will then enable some really cool technologies, such as 'dynamic' streets and pavements, which will be able to change their width based on cars' and pedestrians' demands. Sidewalk Labs is planning to embed LED lights on the streets, which will be capable of changing colours in order to change the width of roads, pavements, and cycle lanes. Each of these will have one designated colour. For example, if the sensor detects there are more cars than the rush of pedestrians, the pavement would be narrowed and the road would become wider. Sometimes, temporary bike lanes will also pop up according to the demand. Ok, so we all know Canada faces extreme weather conditions. So, it's too hot in the summer and almost freezing cold in the winter. Sidewalk Labs wants to create a condition where people of Toronto will be able to spend more time outside despite the weather and what can achieve that if not technology! In order to keep the people dry outside, the tech firm is going to install canopies above the public spaces as well as the walkways. These canopies, like everything else in this part of Toronto, will not be the regular ones; rather they will extend and retract based on weather data, that too real-time. So, basically, the canopies are supposed to come out when the weather is wet and drawback when it's not. Also, they can be used as shades during the summer time as well. This smart neighbourhood will also have walkways and cycle lanes with underground heating so that pedestrians and cyclists can enjoy their walks or cycling even when the streets are covered with snow. Driverless cars – of course, it's there; what did you expect? Well, Sidewalk Labs aims to make the network in this smart city so inclusive that less than one in every five residents of this neighbourhood would feel the need to buy a car. In case of the long-distance travels, it plans to make sure that the residents can order shared hire cars easily from ride-hailing service providers, such as Zipcar. However, as far as the local journeys are concerned, the firm wants everyone to make use of the autonomous car technology. There would be a fleet of autonomous cars, called taxibots, which will always be available on demand via the residents' smartphones and will commonly be shared with other riders. Although Sidewalk Labs says that it may work with third-party driverless car companies, however, Google's Waymo would be a perfect fit for this area; don't you think? Now, what about the buildings in this area? Sidewalk Labs is planning to make the buildings in this neighbourhood as flexible as possible. In order to achieve that it will build them with strong skeletons. The buildings will also have very minimal interiors, which will be reconfigurable on the fly. There will be support beams, positioned at regular intervals. This will let the walls, floors, ceiling panels and façades to shift effortlessly. So, basically, one single building would include offices, flats, manufacturers, hotels and shops, with the shifting as per demand. Although it's unlikely that the building's balance will be in constantly changed, however, this will allow the retailers to change their stores as much as they want to, according to the customers' response. 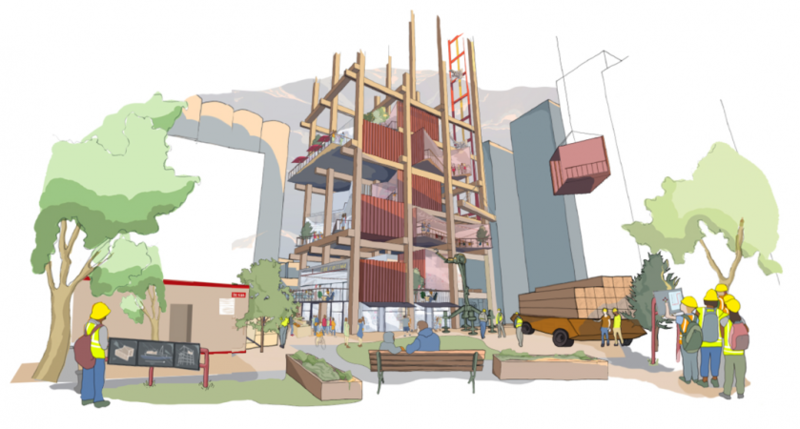 Shops will be able to "expand or collapse quickly, and at low costs, as the population grows and retail trends change", says Sidewalk Labs. Now, we should note that all these ideas and plans are currently at its preliminary stage. So, although they sound exciting and fun; these will take years before being actually practised in real life.